How can equipment operators focus on work and forget the distractions? 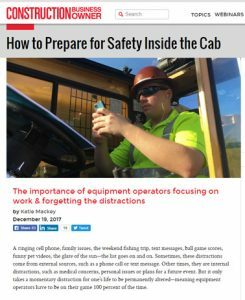 In this article by Crane Tech, we discuss external and internal distractions and how to plan for success. About Construction Business Owner: From its inception in 2004, Construction Business Owner (CBO) was designed to be a different kind of construction magazine, filling a need in the construction industry for the kind of business management knowledge that is of real value to the owners of construction companies. 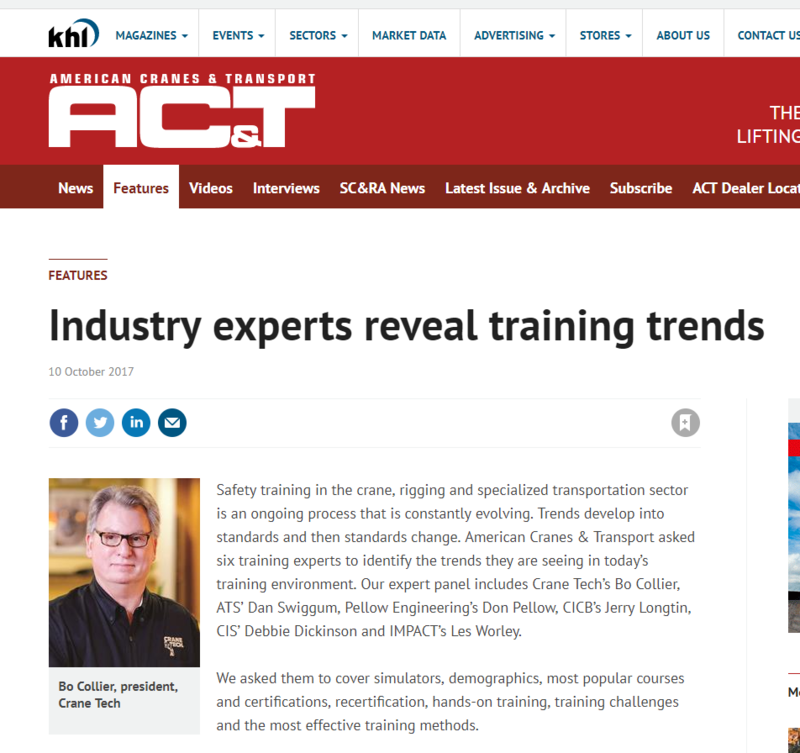 While there are a wide variety of good equipment and association-based magazines that serve the construction industry, CBO provides real-world business management education not found in other construction publications. Articles inform owners and managers on accounting, finance, insurance, regulatory issues, human resources, bidding strategies, technology, jobsite safety, equipment management and industry statistics. 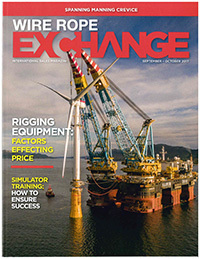 A recent Hooked On Crane Tech article on shop made rigging was recently featured in the Riggers Corner section of the September/October Wire Rope Exchange. Crane Tech made it through Hurricane Irma and re-opened our offices on Tuesday. 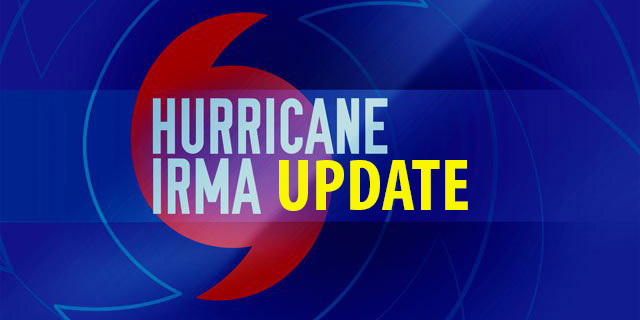 While we prepared for the worst, in a last hour turn of events, Irma started to weaken prior to her arrival in the Tampa Bay area. We are blessed that no one on the Crane Tech team incurred major damage, although a few team members are still without power. We know that the Caribbean Islands, other areas of Florida and the entire Eastern U.S. were not so lucky as they were impacted with devastating winds, tornadoes and rain. With clean up and recovery efforts underway, we wanted to remind you to please stay safe. Be mindful of downed power lines, the impact of heat and the dangers inherent with recovery efforts. As we return to normal business operations, our thoughts and prayers are with those who have been adversely affected. If you have questions about the availability of upcoming courses or have questions regarding material handling training, please do not hesitate to contact us at 800-521-7669. 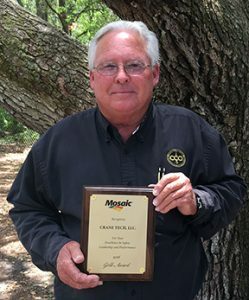 Last month, Crane Tech had the privilege of being recognized with a Gold award as part of the Mosaic Contractor Safety Awards Luncheon. Crane Tech has partnered with Mosaic for many years to provide On-Site Safety Consulting and training for all type of material handling services. We are proud to be one of those companies awarded a Gold level—meaning we have been incident free on Mosaic property for over 5 years. This program is part of Mosaic’s pursuit of an injury-free workplace, of which contractors make up approximately half of the hours worked yearly. To honor those who help contribute to the safety of their facilities, Mosaic hosts an annual luncheon. The recent event recognized over 100 contractor partners for their excellence in safety leadership and performance—helping to make sure that every employee goes home safely at the end of each day. For more on this event, check out this video on the Mosaic FaceBook page.